Since the craze of PSY Gangnam Style swept the global village, curious tourists from all over the world flock to Gangnam of Seoul in South Korea. Gangnam is located at the south of Hangang which flows through Seoul, the capital city of South Korea. Actually Gangnam is composed of several regions which are known as gu in Korean. These regions are Gangnam-gu, Seocho-gu and Songpa-gu. Seoul is divided by Hangang into two portions. The southern portion of Seoul is Gangnam. As far as I know there is no specify name in English for the northern portion of Seoul. 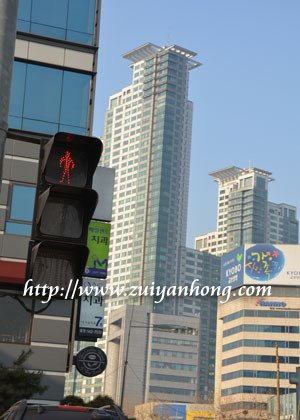 Gangnam is an emerging business hub and a residential area for wealthy Koreans. Jung-gu, Jongno-gu and Yongsan-gu of Northern Seoul are the main areas of traditional commercial centre in Seoul. Most of Seoul tourist attractions are located at Northern Seoul include Itaewon, Sinchon, Insa-dong, Myeongdong, Deoksu Palace, Cheonggyecheon, Gyeongbok Palace, Namdaemun Market, Dongdaemun Market, Bukchon Hanok Village and Namsangol Hanok Village. If not mistaken, I only had been to Gangnam-gu because I have no impression about Seocho-gu and Songpa-gu. Samsungdong Coex Mall is the famous landmark of Gangnam-gu. Coex Mall is an underground shopping mall in Seoul. Apart from more than 300 shopping outlets, there is a large aquarium, Megabox theater, Hyundai Department Store and Pulmuone Kimchi Museum. Apgujeong is the affluent district in Seoul. Luxury residential and commercial skyscrapers can be found everywhere. Bundle of fashion trendy shops are available. The most renown is the Galleria Department Store. Rodeo Street is a must visit destination for trend lovers. 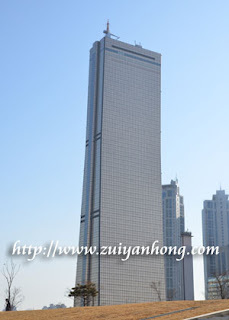 63 City Building is erected at Yeouido, Yeongdeungpo-gu which is south of Hangang. The building has 63 levels and its height is 249 meters. In case you interested in wax figures, just drop in 63 Wax Museum. Moviegoers can see wide screen movie at 63 IMAX Theater in 63 City Building. Yeouiseo-ro, Hangang Park, LG Twin Tower and National Assembly Building are around Yeouido. While traveling in Seoul, don't miss Gangnam hotspots.